Item # 312992 Stash Points: 2,995 (?) This is the number of points you get in The Zumiez Stash for purchasing this item. Stash points are redeemable for exclusive rewards only available to Zumiez Stash members. To redeem your points check out the rewards catalog on thestash.zumiez.com. 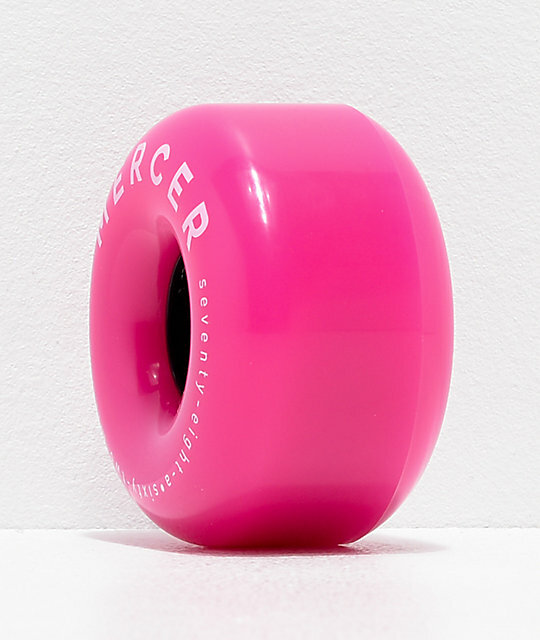 Whether you need cruising wheels, or your trying to cruise around some pools, the Mercer Pink 65mm 78a Cruiser Skateboard Wheels are a great option. Coming in a 78a durometer rating, these wheels will grip even the biggest of vert sections and steep pitched corners. Constructed in a 65mm sizing, these wheels are a perfect fit for smaller longboards or skate decks with risers, while offering a smooth ride over cracks and pebbles with ease. 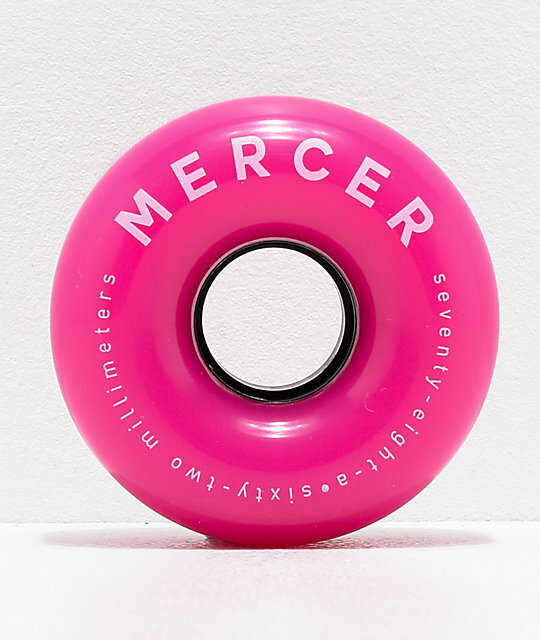 Pink 65mm 78a Cruiser Skateboard Wheels from Mercer.